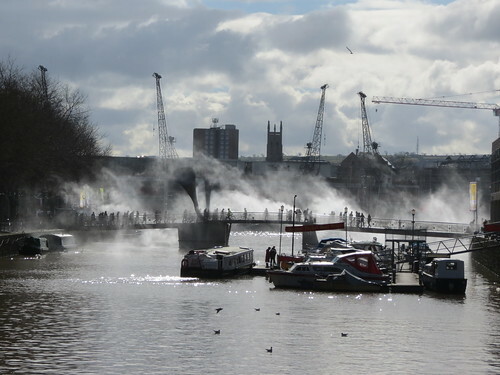 Sapporo born Fujiko Nakaya (中谷 芙二子) , whose father Ukichiro Nakaya (中谷 宇吉郎) is credited with making the first artificial snowflakes, has recently exhibited in Bristol. 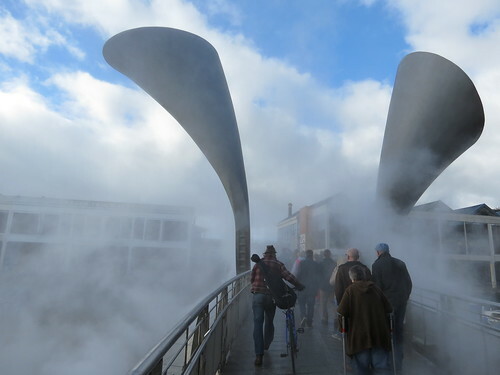 Nakaya is known for her use of fog as a sculptural medium, and in this recent exhibition she took one of Bristol’s landmarks, Pero’s Bridge, and surrounded it in fog. Her first installation of this kind was actually the world’s first fog sculpture at the ‘Pepsi Pavilion, Expo ‘70‘ in Osaka in 1970. 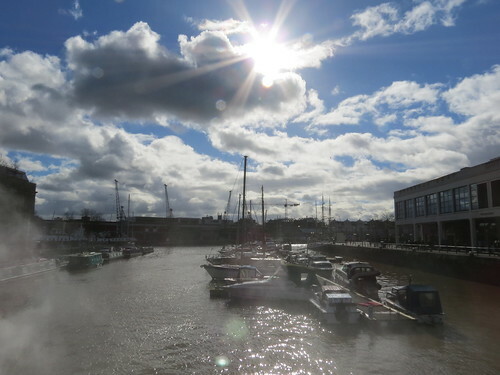 From 12th to 22nd February this year Pero’s Bridge in Bristol’s Harbourside area became shrouded in fog at regular intervals. 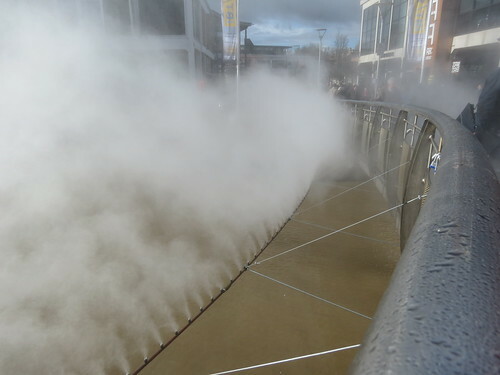 The ‘fog’ was created using fine mist sprays on either side of the bridge, and it wasn’t a place to be if you were bothered about messing up your hair! 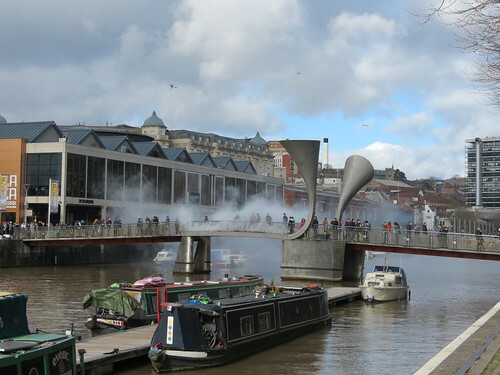 It was quite a cool installation, but I’m not sure how creating a foggy bridge celebrates Bristol being the European Green Capital. Maybe it just serves as a reminder of the fog and smog we’re escaping by being somewhere greener and nicer than London?! I took it as a warning of what might happen to the weather etc in the future if we don’t take more care of the planet now!